This free gun giveaway is courtesy of Florida Gun Supply. Can an AR15 Survive After Being Dropped from a Helicopter? Watch this Video to Find Out! The AR-15 rifle is a heavily sought after semi-automatic rife that has many applications and add-ons for anyone wanting to survive. In the U.S. it is perfectly legal to own AR-15 rifles although some states regulate the possession of the guns or their features. The purchaser of the AR-15 will be subject to specific regulations on a per state basis and should consult with their gun provider for these laws before they purchase any additional features that may be suspect to regulation. Survivalists who want to survive! The original AR-15 was less than six pounds although heavy-barrel versions are now available and weigh upwards of 8.5 lbs. Because of the various add-ons and variety of companies that manufacture the gun have skyrocketed the popularity of the gun has attracted the attention of sport shooters and law enforcement around the world. The AR-15 is known for is accuracy and personalization abilities particular to each enthusiast or application. It will also be one of the most important survival tools you could ever own. For instance, what’s more American than brass knuckles grips? Did you know you could convert any .223 AR15 into a .22 and practice shooting while saving money? Its so easy and cheap! 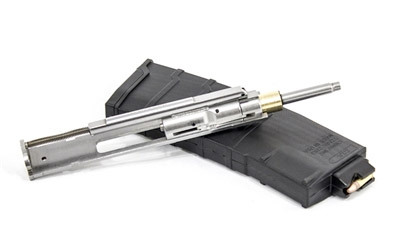 Simply pop in this bolt and use this magazine to start shooting .22LR out of any AR15! Buy it now from Florida Gun Supply’s online gun shop for around $200 bucks. Check out this AR15 torture test video we did! Here’s another AR15 torture test with the same gun! The lower receivers contain the fire control system, the magazine well, and serves as the attachment device of the buttstock and pistol grip. 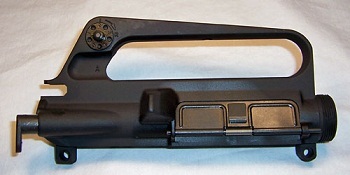 The lower receiver is pretty much common for all upper receiver and buttstock types. You can either buy the individual parts, a kit, or an entire pre-assembled lower receiver ready to go for your AR-15. You can have an absolutely unlimited number of custom parts and assemblies – the internal workings of the AR-15 lower can be completely customized. For the purpose of this article, however, we won’t be discussing customizing the lower AR-15 receiver – this article is more for beginning survivalists interested in AR-15s. There are different sizes of trigger/hammer pins. Make sure you know what size yours is before ordering custom parts. The most common are 154 thousandths for military and after market specs, and 171 thousandths. You’ll need to know what size yours is, and make sure your fire control pin, trigger pin, and hammer pin match. If you’re not completely sure, use a set of calipers to measure. AR-15 pivot pin sizes are super important – make sure your pivot pins match the upper and lower receivers. You can also get adapters to get the pins to match up. What Will You Use Your AR-15 For? The application of your AR-15 should be taken into account when selecting a gun that is appropriate for you. Will you use it for survival/personal protection situations? Maybe a red dot sight or rail sight would work best for you. Do you want to make it into a long range (sniper rifle?) You will want a heavier barrel and a great sight. AR-15’s are used in law enforcement and in military applications but are also used for sport and hunting. 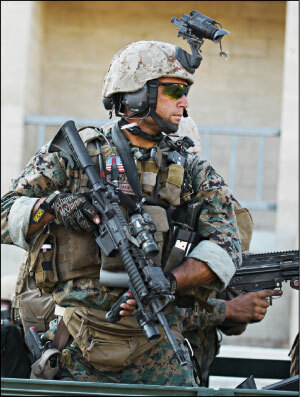 Sport or militant operations may consider the application of a fully automatic AR-15 to satisfy the use of the rifle. Other accessories of the gun that may also be taken into account when selecting the right gun includes the caliber, sight, optical devices and stock. As the application of the AR-15 may mandate differing features you will want to discuss with your gun provider or online gun forums what the preferred features are for you and your desired use(s). You should shoot as many AR-15’s as possible to see which one feels right to you. Because there are so many variations of the gun including barrel lengths and caliber sizes each gun may feel different in your hands. Handling the gun at a shooting range will give you the best idea of which options or manufacturer you feel most comfortable with. Your budget for your new AR-15 should be taken into consideration because the price points of the gun can vary significantly. The average price of the AR-15 ranges from $850.00 to $2,000.00 for new guns. The cheaper alternative would be to purchase a used gun which can picked up for around $600.00 and up. For more great tips and resources on the AR-15, feel free to check out our friends at Florida Gun Supply! Just don’t buy the first green one you see at the local gun show! When I was new to AR-15s, I did that once. Took home a no-name AR-15 and plinked around. Next thing I knew, it had somehow malfunctioned and every time I fired, 4 rounds would fire! Super dangerous. I brought it back that same day – this time I researched which gun I wanted and got a very high quality AR-15. AR15s are by far my favorite weapon. I recommend people new to them buy one outright from a reputable manufacturer. Do plenty of research on them and determine the quality based on reviews/comments on the product from others who have actually owned/handled that exact weapon/model. There are too many cheap ones on the market that aren’t worth a damn and if they rush into buying one they may end up getting one that doesn’t deserve its classification. My personal favorite (outright, full model) is the Colt LE6920 M4 Carbine (16″ barrel). After they own one and handle it for a while, then I recommend buying a second and customizing it piece by piece to meet their exact desires. I agree with the first poster, don’t buy the first you see. There are thousands of different possible combinations of parts. Today it seems people are gravitating toward the more minimalist end of the spectrum, get a rail on top, none on the sides, a light, maybe a grip a sling and an optic but keep the gun light and it will stay handy! i jest bout a AR-15 out of a pawn shop for 800$ yal think i might have gotten a cheap bad quality one?? is it true?? or yal think i jest screwed up bad? I agree it is best to spend time and do your research and really think about what your needs are. There are a lot of guys that have ended up spending 3x as much as they originally planned on their AR build just because they kept changing their minds on different components. I had years of experience with AR’s in the military. When I decided to finally buy one, it wa a totally different world. The selection was almost overwhelming. I went to several shops. I was cost conscious, but put my trust in the people at the shop that treated me best. I spent a little more on the best basic rifle I could afford. I started with a Stag Arms Mdl-1, and made up-grades as deemed necessary. Over the years, I’ve been pleased with a good rifle that’s made just for me! IMHO, get the best rifle you can afford, and spend your money on good ammo and good magazines. The rest will come with time. je ne vois pas l’interet pour des civils de maltraiter de cette façon une ou plutot plusieurs AR-15 , si ce n’est pour la vidéo ou pour nous prouver que c’est une bonne arme , ce que personne ne remet en doute . Pour ce genre de conneries la sig sauer s’y prete en bronchant encore moins . 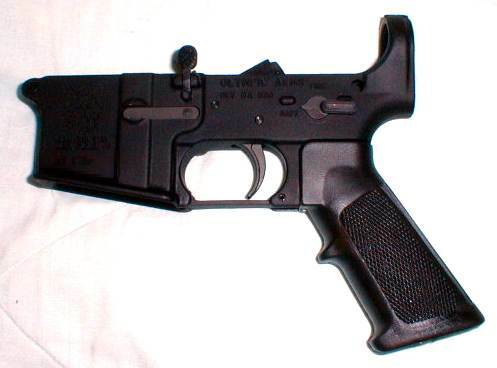 Le reproche (le seul ) sur l’AR-15 c’est son calibre d’origine pas assez de puissance d’arret on a interet a la convertir en en 308 ,sinon qu’est ce qui sort à la bouche du 5,56mm meme avec des cartouches spéciales ça reste du 22 vous pouvez l’appeler 223 c’est toujours du 5,56 ,oui en 7,62 elle serait parfaite mais imaginez le fric à sortir pour l’armée américaine…elle est certes plus belle qu’une AK ( bien que les gouts et les … ) , mais sur le terrain on est pas à un concours d’élégance et parfois c’est le dernier rempart à notre misérable vie on s’aperçoit à quelle point ELLE nous est chére , “misérable” est a comprendre dans la briéveté ,alors pourquoi pas renforcer ce rempart !